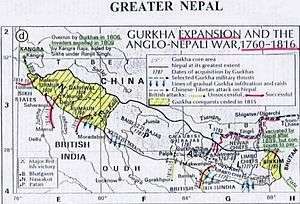 The Anglo-Nepalese War (1814–16), also known as the Gurkha War, was fought between the Kingdom of Nepal (present-day Nepal) and the East India Company as a result of border disputes and ambitious expansionism of both the belligerent parties. 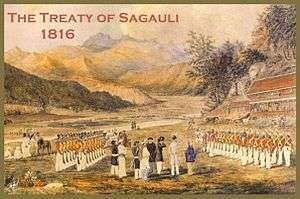 The war ended with the signing of the Treaty of Sugauli in 1816, which ceded around a third of Nepal's territory to the British. The acquisition of the Nawab of Awadh's lands by the British East India Company brought the region of Gorakhpur into the close proximity of the raja of Palpa – the last remaining independent town within the Nepalese heartlands. Palpa and Butwal were originally two separate principalities; they were afterwards united under one independent Rajput prince, who, having conquered Butwal, added it to his hereditary possessions of Palpa. 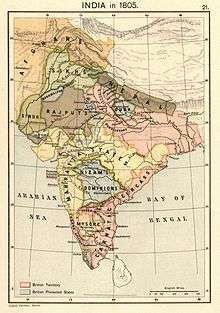 The lands of Butwal, though conquered and annexed, were yet held in fief, or paid an annual sum, first to Awadh, and afterwards, by transfer, to the British. During the regency of Rani Rajendra Laxmi, towards the close of the 18th century, the hill country of Palpa was conquered and annexed to Nepal. The rajah retreated to Butwal, but was subsequently induced, under false promises of redress, to visit Kathmandu, where he was put to death, and his territories in Butwal seized and occupied by the Nepalese. 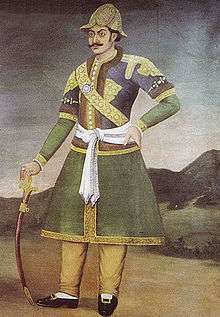 Bhimsen Thapa, the Nepalese prime minister from 1806 to 1837, installed his own father as governor of Palpa, leading to serious border disputes between the two powers. 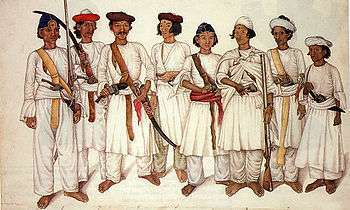 The "illegal" occupation from 1804 till 1812 to the Terai of Butwal by the Nepalese, which was under British protection, was the immediate reason which led to the Anglo-Nepal war in 1814. 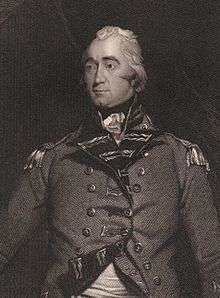 On October 1813, the ambitious Francis Edward Rawdon-Hastings, the Earl of Moira, assumed the office of the Governor-General, and his first act was to re-examine the border dispute between Nepal and British East India Company. These disputes arose because there was no fixed boundary separating the Nepalese and the British. A struggle with the former was unpromising as the British were ignorant of the country or its resources and, despite their technological superiority, it was a received persuasion that the nature of the mountainous tract, which they would have to penetrate, would be as baffling to them as it had been to all the efforts of many successive Mahomedan sovereigns. 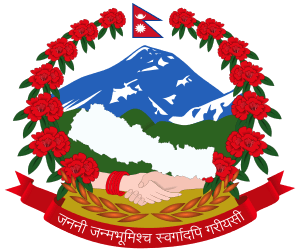 A border commission imposed on Nepal by the Governor-General failed to solve the problem. The Nepalese Commissioners had remarked to the British the futility of debating about a few square miles of territory since there never could be real peace between the two States, until the British should yield to the Nepalese all the British provinces north of the Ganges, making that river the boundary between the two, "as heaven had evidently designed it to be." 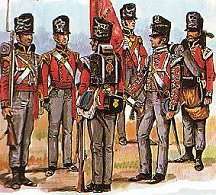 In the mean time, the British found that the Nepalese were preparing for war; that they had for some time been laying up large stores of saltpetre; purchasing and fabricating arms, and organizing and disciplining their troops under some European deserters in this service, after the model of the companies of East India's sepoy battalions. The conviction that the Nepalese raids into the flatland's of the Terai, a much prized strip of fertile ground separating the Nepalese hill country from India, increased tensions – the British felt their power in the region and their tenuous lines of communication between Calcutta and the northwest were under threat. Since there was no clear border, confrontation between the two powers was "necessary and unavoidable". Britain formally declared war with the Nepal on 1 Nov 1814. 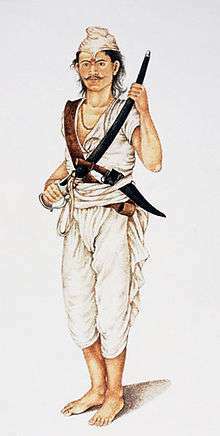 Hasti Dal Shah and some five hundred Nepalese Army men had set out from Almora to secure Almora’s Northern line of communications with Kathmandu. This party was intercepted. 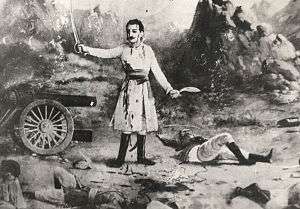 Hasti Dal Shah, the ablest Nepali commander in this sector, was killed in the first moments of the battle. The Nepalese suffered terrible losses. When word of this disaster reached the defenders at Almora, they were stunned. The British closed in on Almora and the Nepalese was unable to prevent the British advance. 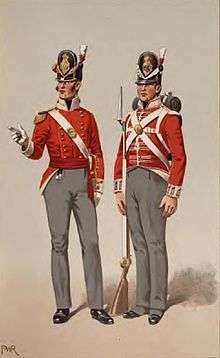 On April 25, 1815, 2,000 British regulars under Col. Nichollsand a force of irregular troops under Col. Gardiner assaulted and captured the heights of the town of Almorah. Subsequently, the British managed to establish gun positions within seventy yards of the gate of the fort at Almora and the British artillery demolished the walls of the fort at point blank range. Bam Shah surrendered Almora on 27 April 1815. The result of this British victory was the capitulation of the province of Kumaon and all of its fortresses. ↑ Not to be confused with the better known commander of Gorkhali forces in the Gurkha War with the same name. The two Amar Singhs are differentiated by the qualifier Bada (greater) and Sanu (lesser). 1 2 Anon (1816), p.425. 1 2 3 Oldfield, p. 40. ↑ Smith, Warlike Preliminaries, Ch. 8, p. 172. ↑ Prinsep, Ch. 2, Causes of Nipal War, p. 54-80. 1 2 3 4 Hastings, p. 9. 1 2 Anon (1816), p.426. ↑ Smith, Britain's Declaration of War, p. 187-212. 1 2 Prinsep, p. 460. 1 2 3 Prinsep, p. 79-80. ↑ Prinsep, p. 458: The entire letter by Bhimsen Thapa is as follows: "Through the influence of your good fortune, and that of your ancestors, no one has yet been able to cope with the state of Nipal. The Chinese once made war upon us, but were reduced to seek peace. How then will the English be able to penetrate into the hills? Under your auspices, we shall by our own exertions be able to oppose to them a force of fifty-two lakhs of men, with which we will expel them. The small fort of Bhurtpoor was the work of man, yet the English being worsted before it, desisted from the attempt to conquer it; our hills and fastnesses are formed by the hand of God, and are impregnable. I therefore recommend the prosecution of hostilities. We can make peace afterwards on such terms as may suit our convenience." 1 2 Hasting, p. 9-10. ↑ Shorea robusta, also known as sal or shala tree, is a species of tree belonging to the Dipterocarpaceae family. ↑ "Nepal Proper" refers to the Kathmandu Valley. Before the conquest of the Kathmandu Valley by Prithvi Narayan Shah, only this valley was originally referred to as Nepal. 1 2 3 4 5 Anon (1816), p.427. 1 2 3 4 Fraser, p. 13. 1 2 3 4 Smith, Plan of Operation, p. 215-219. 1 2 Prinsep, p. 85. 1 2 Prinsep, p. 84. ↑ Paget, William Henry (1907). Frontier and overseas expeditions from India. p. 40. 1 2 3 Prinsep, p. 94. 1 2 Prinsep, p. 95. 1 2 Naravane, p. 191. ↑ India-Board (8 November 1816). ↑ Anon (1816), p. 428. ↑ Pemble, Forgetting and remembering Britain's Gurkha War, p.367. 1 2 Lamb, p. 41. ↑ Pemble, Forgetting and remembering Britain's Gurkha War, p.366-367. India-Board. (16 August 1815). Dispatches, dated Fort-William, 25 January 1815. The London Gazette. Issue: 17052. Published: 19 Aug 1815. pp. 1–8. India-Board. (8 November 1816). Dispatches, dated Fort-William, 30 March 1816. The London Gazette. Issue: 17190. Published: 11 Nov 1816. pp. 1–4. Anon. (1816). An account of the war in Nipal; Contained in a Letter from an Officer on the Staff of the Bengal Army. Asiatic journal and monthly miscellany, Vol 1. May, 1816. pp. 425–429. Fraser, James Baillie. (1820). Journal of a tour through part of the snowy range of the Himālā mountains, and to the sources of the rivers Jumna and Ganges. London: Rodwell and Martin. Anon. (1822). 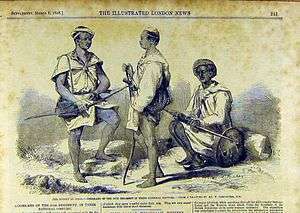 Military sketches of the Goorka war in India: in the years 1814, 1815, 1816. Woodbridge, Printed by J. Loder for R. Hunter, London. East India Company. (1824). Papers respecting the Nepaul War. Papers regarding the administration of the Marquis of Hastings in India. Marquis of Hastings. (1824). Summary of the operations in India: with their results : from 30 April 1814 to 31 Jan. 1823 . Prinsep, Henry Thoby. (1825). History of the political and military transactions in India during the administration of the Marquess of Hastings, 1813-1823, Vol 1. London: Kingsbury, Parbury & Allen. Smith, Thomas. (1852). Narrative of a five-year's residence at Nepaul. Vol 1. London: Colburn and Co.
Oldfield, Henry Ambrose. (1880). Sketches from Nipal, Vol 1. London: W.H. Allen and Co.
Hunter, William Wilson. (1896). Life of Brian Houghton Hodgson. London: John Murray.